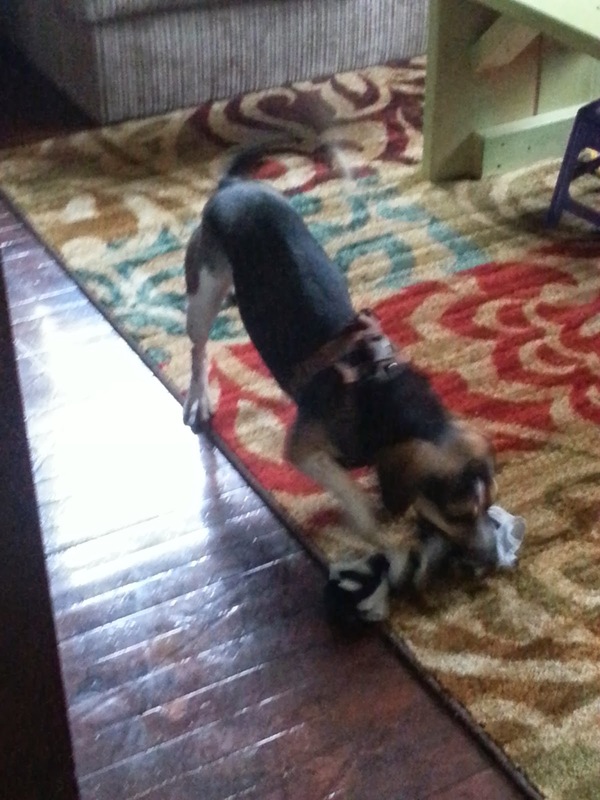 This dog toy is easy to make & inexpensive! 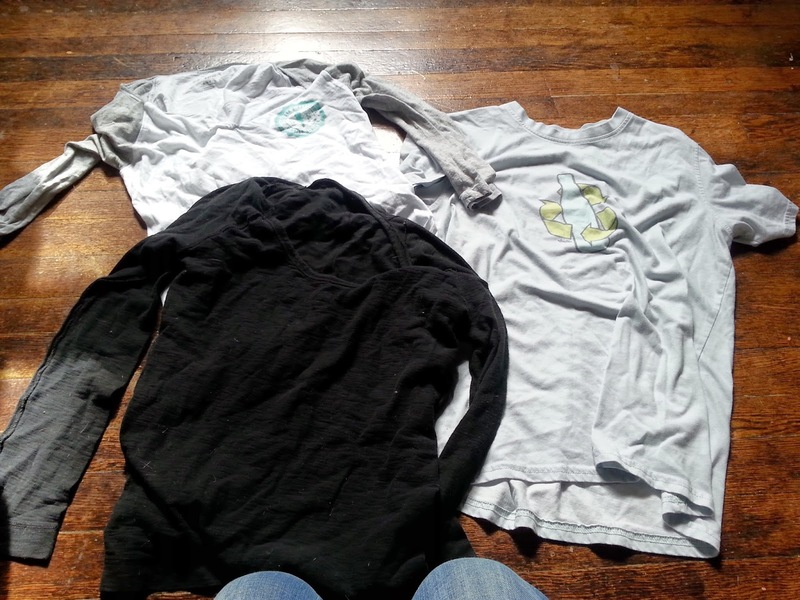 Find two old t-shirts. 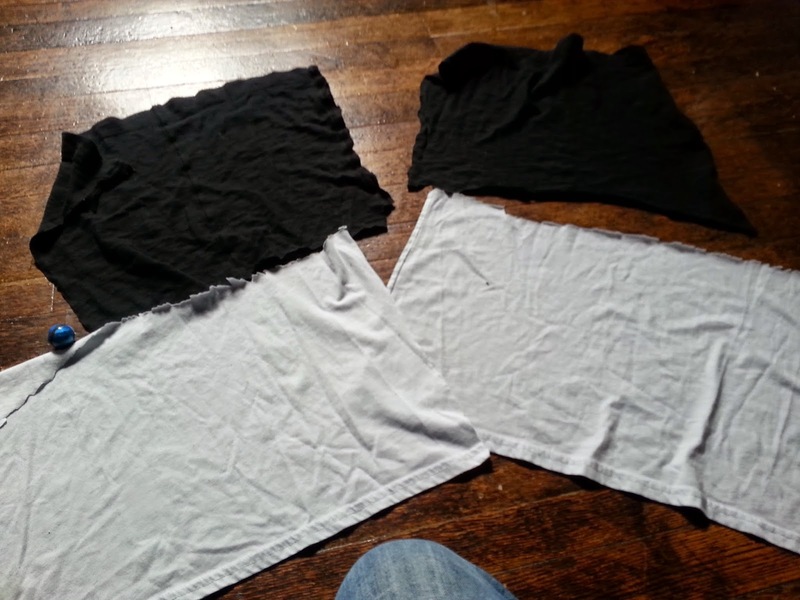 Cut off the bottom hem of the shirts. Cut the shirts into 3 inch strips. Cut each strip into two equal-sized strips by cutting each end apart. Cut the smaller shirt into 3 inch strips. 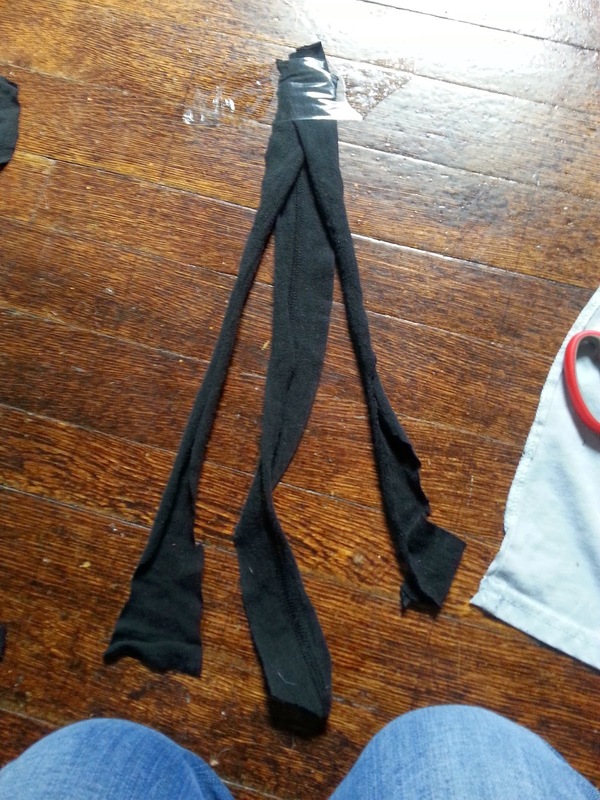 Do not cut the smaller-sized shirt strips in two! Lay out the strips from the larger shirt. Each pile should have three strips; one of one color, two of the other color. Pull on the ends of each strip. This will cause the strip to roll in on itself. Use masking tape to tape the ends of the first set of three strips together. I used all the same color to braid but you can choose any combination of colors. Use a second piece of tape to adhere the strip to a surface. Braid tightly. Wrap the second piece of tape around the end of the first braid. Repeat until you have three braids. 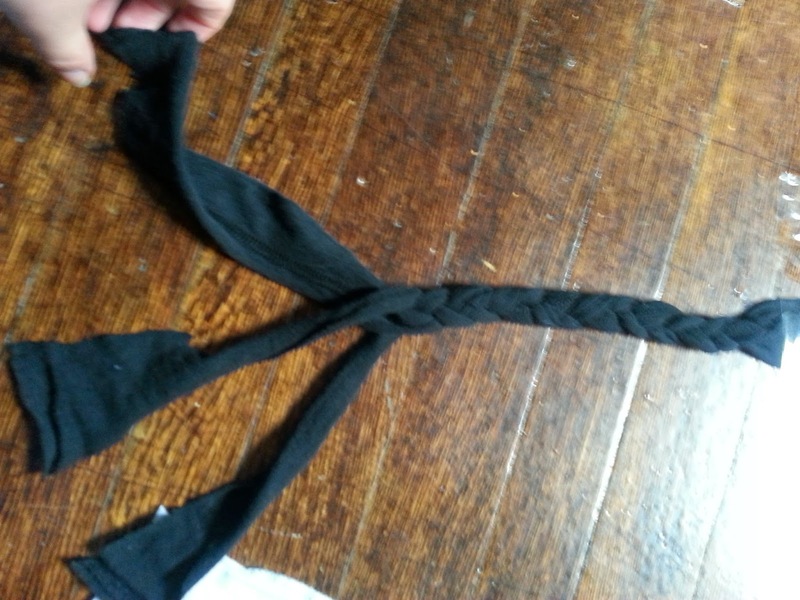 Tape the ends of the three braids together. Braid the three braids into one large braid. Tape the end of the large braid. ﻿This how our new toy turned out. Hunter LOVES them!! 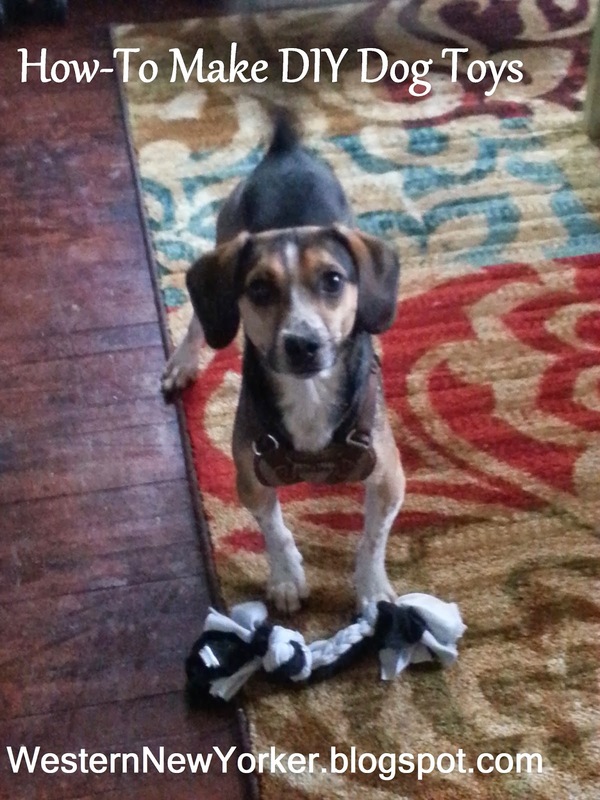 Aww, I have a dog that looks just like that, his name is Punkin. I bet he'd enjoy one of these. Thanks for the idea! Never thought of making these myself! What a great idea and pretty easy to make!